Yesterday was day thirteen of Elf on the Shelf ideas. My boys woke up to Elf stuck to the front door. Apparently, chimneys make his job a little easier. Obviously, we do not have a chimney. This was our view from the living room. Our little boys thought it was hilarious that Elf flew smack into the front door. 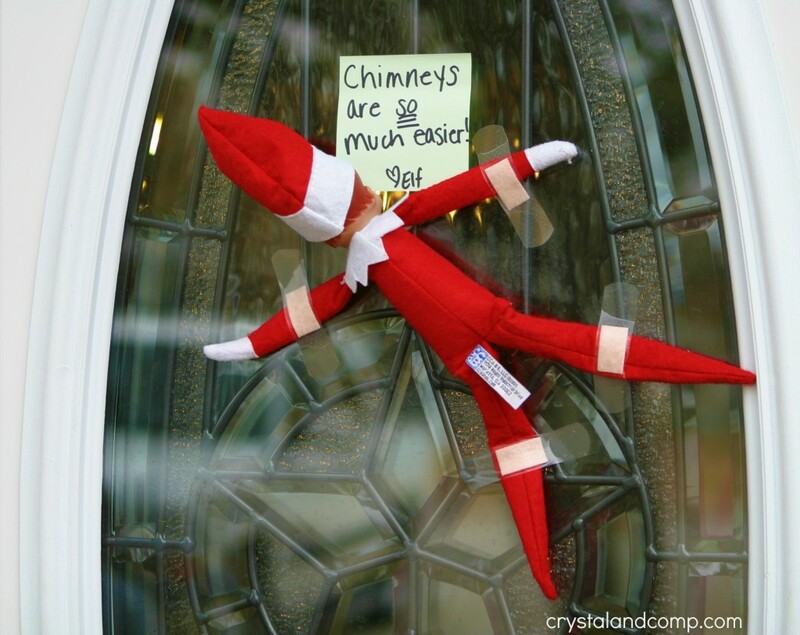 Have you started the Elf on the Shelf tradition? This makes Elf on the Shelf fun and easy! 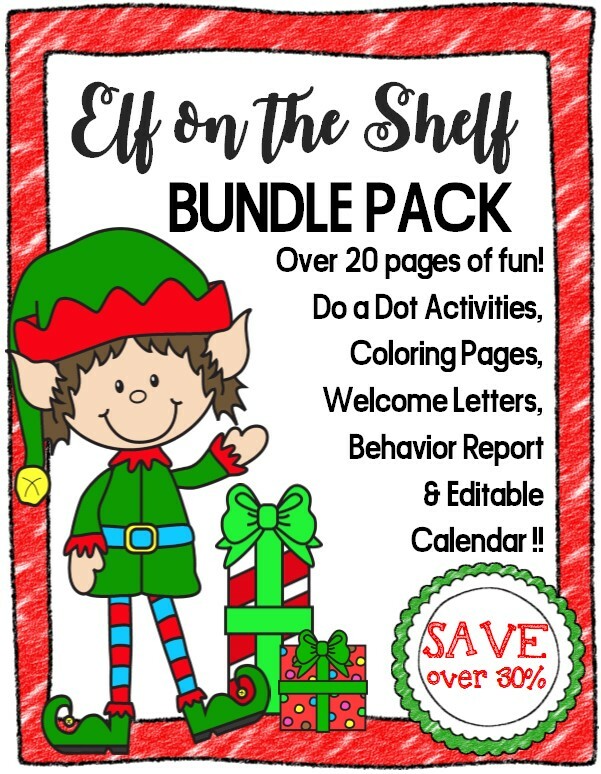 Check out our Elf Bundle! We havent started this tradition yet..
Melissa B recently posted..And the winner is…. What a giggle! We SO need an elf! I am not a lover of the Elf (i know, i know, don’t hate me) but this is awesome ! Haha hilarious, love the bandaids too, nice touch.